Overwhelmed by the price of real estate in Manhattan and in Brooklyn’s most loudly lauded corners? Head just a little farther into everyone’s favorite outer borough, Brooklyn, for similar housing stock at a deep discount. “Bed-Stuy holds a tremendous upside in value, mostly due to the unique architectural significance,” says Yair Tavivian, Licensed Associate Real Estate Broker and co-founder of The Tavivian Team at Douglas Elliman. 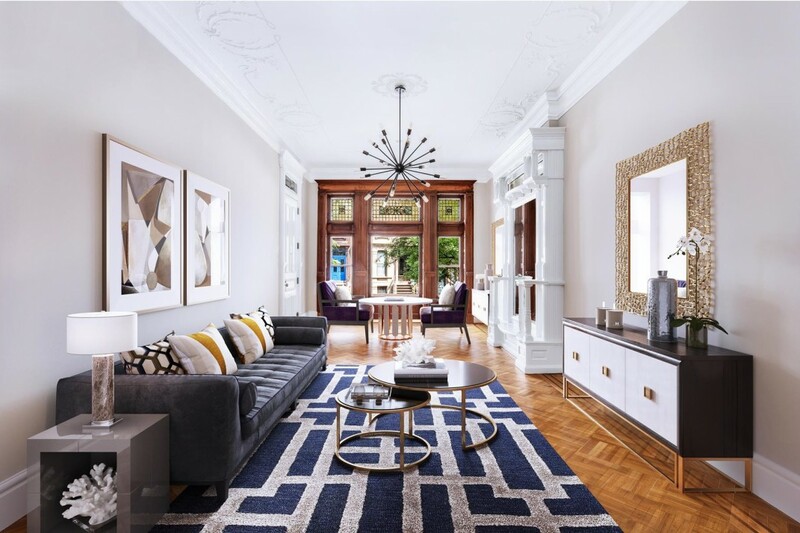 The neighborhood’s rich array of “amazing brownstones and townhouses are not far from Clinton Hill or Park Slope, yet they are half the price,” he says. Bed-Stuy may be slightly further along the A and G lines from some of the pricier areas within the brownstone belt, but it more than makes up for it with prices impossible to find in Carroll Gardens and Cobble Hill—and for the same historic set of 19th and 20th century row houses, many exceptionally wide. Also appealing: Bed-Stuy’s abundance of quaint green spaces, a great assortment of authentic and affordable eating options, incredible community and a blooming condo market. Below, six reasons to give Bed-Stuy a serious look if you’re looking to buy in Brooklyn. Completely independent of the L train and therefore unaffected by the L train’s prolonged closure for repairs starting next spring, Bed-Stuy has multiple subway lines to choose from, which will get you wherever you’re going, whether it’s Wall Street or the Rockaways, without any transfers. “The majority of Bed-Stuy’s transportation options are located on all four borders of the neighborhood,” says Tavivian, pointing out that the perimeter of the area is quite well serviced, “there’s practically a stop every four to six blocks.” Local stops and a network of bus routes serve those living closer to the middle of the neighborhood. The A, C, J, Z and G are the main lines servicing Bed-Stuy. Downtown Brooklyn is just under a half hour way, Wall Street a few minutes further, while Midtown is a straight, 45-minute shot on the A and C lines, says Douglas Elliman Licensed Associate Real Estate Broker, Eli Haliva. The lucky next resident of 222 Hancock Street, 1A—a floor-through three-bedroom condo on the garden floor of a townhouse—will live on a peaceful tree-lined side street and enjoy a commute barely over 30 minutes from Times Square. The three-bedroom, 3,127-square-foot unit, replete with historic details and modern amenities, is a quick 10-stop ride on the A subway from Midtown. A hidden gem, Bed-Stuy has shockingly low prices for similar housing stock that asks additional millions in parts of the borough that are only slightly more central. “Bed-Stuy prices are very competitive when compared to other Brooklyn and Queens real estate markets,” says Tavivian. One-bedroom condos average around $700,000 while two-bedrooms generally go for around $933,000, Tavivian reports. Only once you start looking at three bedrooms do most prices begin to pass the million mark, but barely: The average last year was $1.031 million for a three bedroom. 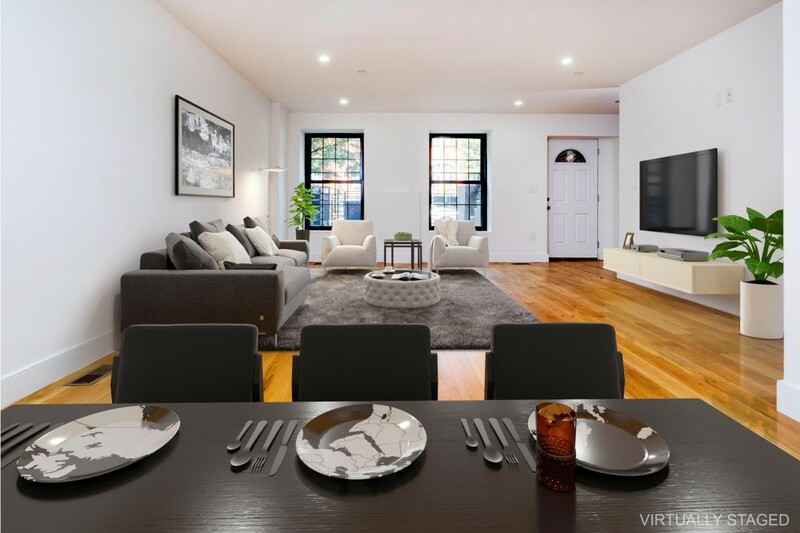 In a new, boutique condominium building at 179 Monroe Street, this one bedroom sports 10-foot ceilings, a private 50-square-foot balcony, spa-like bathroom fixtures and a price tag of just $615,000. 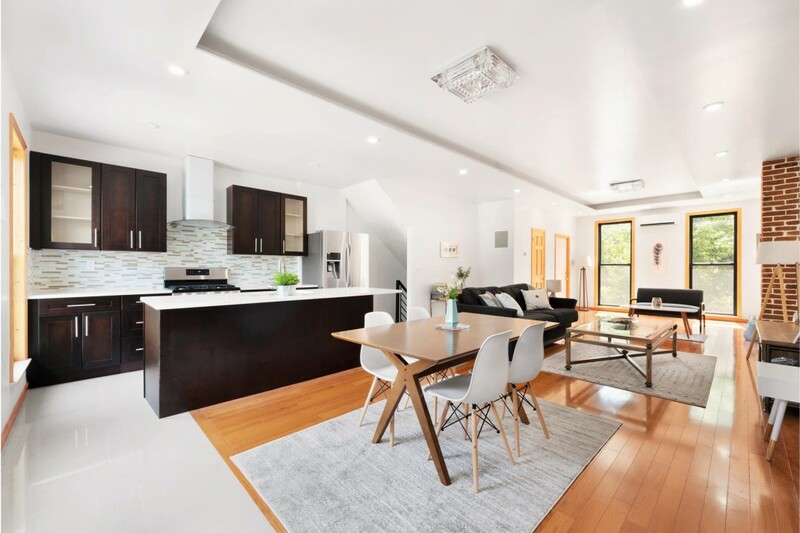 A historic, four-story townhouse at 249 Monroe Street, meanwhile, offers a home and a rental opportunity to the tune of $2.15 million. There's no need to worry about the mortgage with this property either: the $4,400 a month income from rent should basically cover it. The market for co-ops is somewhat limited, in part due to the abundance of historic housing for which the neighborhood is known. Looking to test out the neighborhood by renting? Monthly rents average around $1,500 for studios, $2,100 for one bedrooms and $2,500 for two bedrooms, according to Haliva. With such beautiful housing stock and condo options galore, for prices that can be half that of similar real estate in adjacent neighborhoods, it should come as no surprise that Bed-Stuy is a highly desirable neighborhood for first-time homeowners. It’s not exactly a secret that Bed-Stuy’s property values are booming. As more and more Brooklynites and Manhattanites realize the brownstone belt’s gorgeous housing stock continues into central Brooklyn, the period of relatively low prices may not last much longer. 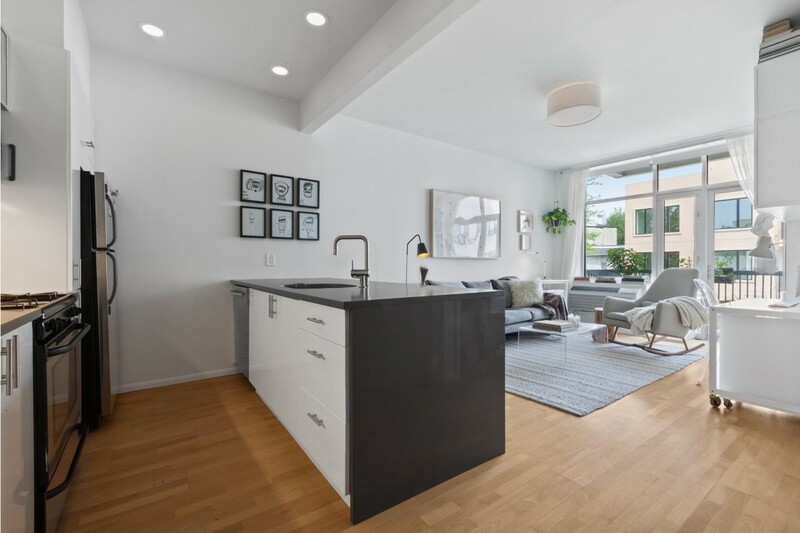 Over at 203 Quincy Street, 2C a junior two bedroom in a new, 10-unit boutique condo building is currently asking $989,000—an ask which will surely be higher given a few years, when the next owner decides to sell. Weary of the chain stores and corporate behemoths that increasingly dominate the streets of the outerboroughs’ more established neighborhoods and much of Manhattan? Bed-Stuy is home to a slew of mom and pop businesses--shops with longtime neighborhood roots and plenty of opportunities to shop local. Peaches Hot House, Speedy Romeo, Chilo's and Project Parlor are just a small sample of Bed-Stuy's array of food and drink options. Another amenity you won’t find elsewhere in the brownstone belt? A parking spot. As for green space, Bed-Stuy is dotted with pocket parks and ones of a larger size, from Herbert Von King Park to a variety of playgrounds. “There are beautiful small gardens and parks scattered throughout the neighborhood,” Taivan says. Bed-Stuy contains two historic districts in its southern portion: the Bedford Historic District, designated in 2015 and comprised of over 800 buildings, and the Stuyvesant Heights Historic District, designated back in 1971. There are also a variety of historic churches and the landmarked Boys and Girls High School. Much of the housing stock offers up tons of untouched pre-war details, from stained glass to coffered ceilings and pedimented entryways. 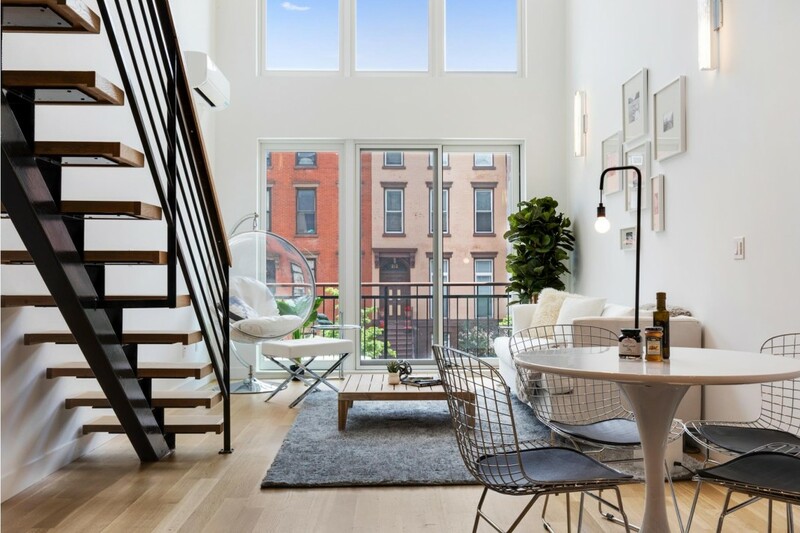 Inside and out, many Bed-Stuy homes boast both character and craftsmanship, while the neighborhood beckons buyers with an irresistible combination of price point and commutability to work in Manhattan and Downtown Brooklyn. Ready to browse listings in Bedford-Stuyvesant? Search online here or call 718.840.2100 to speak to an agent in Douglas Elliman’s Bed-Stuy office. 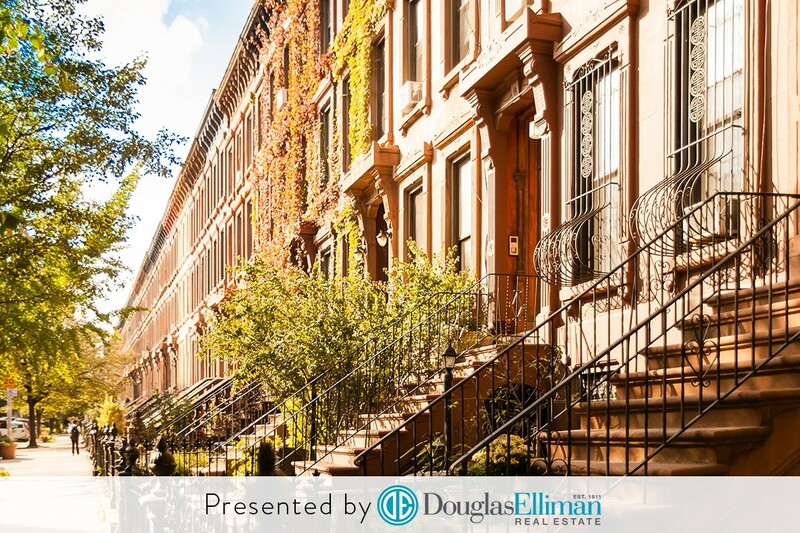 Douglas Elliman is New York City’s #1 brokerage and continues to grow with local offices across Brooklyn. Look for us in Brooklyn Heights, Park Slope, Williamsburg, Carroll Gardens, Fort Greene, Ditmas Park, and Bedford-Stuyvesant.